This project will review 4 qualifications and 29 units of competency from the SFI11 Seafood Industry Training Package, in light of changes and updates to legislation and regulations relevant to fisheries compliance officers and industry. The qualifications and units will be updated to reflect these changes, so fisheries compliance officers can respond to increasing threats of illegal, unreported and unregulated (IUU) fishing and also respond to (and prevent) biosecurity threats. Changing legislation and regulations across the Commonwealth, state and territory domains adds a layer of complication to a multi-jurisdictional issue with a connectedness to biosecurity success. The project will also review qualifications and units of competency with regard to advancements in technology. In the aquaculture and fishing industry there are multiple and complex regulatory processes across jurisdictions and variations between licence and lease arrangements. These can inhibit and negatively impact on the industry’s ability to gain approvals for new or existing operations. The Aquaculture and Wild Catch Industry Reference Committee (IRC) have had discussions across various industry sectors regarding the need to ensure fisheries compliance is addressed immediately within the existing training package to ensure it meets the needs of industry. This project is being carried out in conjunction with the Aquaculture, Fishing Operations and Biosecurity Project and Seafood Post Harvest Project. The Industry Skills Committee (AISC) approved this project, after these skills priorities were outlined in the 2018-2020 IRC Skills Forecast and Proposed Schedule of Work. Skills Impact and the Aquaculture and Wild Catch Industry Reference Committee (IRC) will manage this project, consistent with the 2012 Standards for Training Package Development. This project will review 4 qualifications and 29 units of competency within the SFI Seafood Industry Training Package, to address the growing compliance requirements in the seafood industry. Advancements in technology and environmental sustainability and management will also be considered. Compliance is a critical function across all sectors of the seafood industry. Successful fisheries management depends heavily on achieving public and industry compliance with relevant laws and regulations. This is best achieved when there is close and ongoing cooperation between fishers (recreational and commercial) and compliance agencies, and where there is a high level of awareness and understanding about management arrangements and a sense of shared responsibility and stewardship. Scroll down to view the qualifications and units that will be reviewed in this project, and the various job roles and skilled activities they cover. As part of the review process, documents will be updated to meet Standards for Training Packages and to address the Council of Australian Governments’ reforms. This project is carried out at the same time as the Aquaculture, Fishing Operations and Biosecurity Project and Seafood Post Harvest Project. 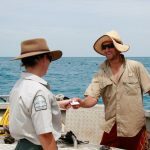 *Fisheries officers and Fisheries compliance officers are employed by Commonwealth or state regulatory agencies to deliver information and advice on any number of fisheries issues involving recreational and commercial fishers and the wider community. They are also tasked with optimising compliance with laws and associated regulations. Activities include fraud investigation, surveillance and observer operations. In some jurisdictions, some compliance functions are undertaken by police and sea ranger groups. Review of occupations relevant to aquaculture and fisheries compliance. Review and improve 4 qualifications and 29 units of competency. Where gaps are identified, up to 10 new units and up to 2 new skills sets may be developed. Review and possibly delete identified qualifications and units of competency. Please register your interest to be informed at each project stage and receive details of workshops and consultations. The Aquaculture and Wild Catch Industry Reference Committee (IRC) will oversee this project, as part of their responsibilities to support engagement with the sector, and to ensure projects meets industry stakeholder needs. Below is a list of current qualifications and units proposed for revision and development as part of this project. In preparation for the review of these components, we invite you to provide your input on the current qualifications and units. We would like to know what changes or updates should be made to the components so that they meet the skills needs of the industry. Use the links below to view the current components on training.gov.au. Your feedback will help us in drafting the revised qualifications and units. Stakeholder input is appreciated throughout the duration of this project. The documents will be drafted in consultation with Subject Matter Experts and their networks. Opportunities to provide targeted feedback will occur when the draft materials are made available, which is expected in November 2018, and again for validation of final drafts which is expected in February 2019. However, your feedback is welcomed at any time, and will help us in drafting the qualification and units. It is important that training provides a skilled and flexible workforce for the future. The qualification and units need to reflect real work experience. So if you work in the sector, Skills Impact would appreciate your input and help. Please feel free to register your interest for project updates and consultation opportunities by following the newsletter subscription link below. Alternatively, please feel free to contact the project manager, Rebecca Ford on 03 9321 3526 or rebecca@skillsimpact.com.au. Subject Matter Experts will be drawn on throughout this project to help review and draft the revised units and qualifications. If you are interested in applying to be a subject matter expert and are able to volunteer your time to this project, please email details of your expertise to rebecca@skillsimpact.com.au. Subject Matter Experts have been consulted to draft the revised qualifications and units of competency to address skills gaps across the fisheries compliance industry areas, and to suggest possible skill sets. Meetings with these experts also identified the various job roles and tasks that exist within the fisheries compliance sector. Broad stakeholder consultation is scheduled to commence mid-to-late November, when the draft units and skill sets will be available for comment on this webpage (under the ‘Drafts Available’ menu above). Your input is welcomed, please feel free to register your interest to keep informed of project updates and when draft materials are available for feedback. Please click on the ‘Project Plan’ menu above to read more about the project scope, timeline, deliverables and to see the list of units and skill sets proposed for development. Thank you to all those who provided feedback on the four revised qualifications and 31 units of competency. The drafts were made available on this webpage for broad stakeholder review from 19 November – 6 December 2018. Please note that these qualifications and units relate to people in the role of Fisheries Compliance Officers and/or Managers. A new skill set is currently being developed as part of the Aquaculture, Fishing Operations and Biosecurity Project to provide training for operators to better understand their compliance and regulatory obligations. The draft qualifications and units have been developed in consultation with Subject Matter Experts, to address skills gaps across the fisheries compliance industry areas and to suggest possible skill sets. Meetings with these experts also identified the various job roles and tasks that exist within the fisheries compliance sector. All qualifications have been updated to meet the Standards for Training Packages 2012. The packaging rules have been revised to better reflect job roles and activities. Refer to Qualification Mapping Information on each document to view major changes. Although a unit exists for promoting fisheries management awareness programs, at an Australian Qualifications Framework (AQF) level 4. There is no unit for for conducting them. This unit has bene developed to fill this skills gap. All units have been reviewed to ensure current practice and terminology, and that skill complexity is appropriately aligned to the Australian Qualifications Framework (AQF). Thank you to those who participated in the validation process for the final draft qualifications and units of competency. The documents were initially made available on this webpage from 17 December 2018 – 28 January 2019. Following requests from industry, the validation period was extended to 12 February 2019. This was to allow more time for feedback on the proposed deletion of SFICPL205 Present evidence in a court setting. The unit has been redesigned and is available for review and feedback below. Please note that the unit has also been given a new code, changing from the original SFICPL204, which has been assigned to another unit. Please note that these qualifications and units relate to people in the role of Fisheries Compliance Officers and/or Managers. The final drafts will shortly progress through to the Finalisation stage of the project which includes quality assurance of the documents and review and feedback from the State/Territory Training Authorities. They will then be forwarded to the Meat Industry Reference Committee (IRC) for consideration and sign off, before being submitted to the Australian Industry and Skills Committee (AISC) to consider and approve for publication on training.gov.au. Validation means checking and confirming that the documents are logical and factually accurate. We are seeking your views on whether the final draft units and skill sets accurately reflect the current industry skills standards, knowledge and practices and whether all job functions are accurately described. Prior to the Validation period, the draft qualifications and units were made available on the Skills Impact website under the ‘Drafts Available’ stage from 19 November – 6 December 2018. Feedback on the draft documents was collected via an online feedback hub, emails and a face-to-face consultation workshop with members of the National Fisheries Compliance Committee. A description of how this feedback has been consideration and applied in these final drafts can be downloaded below. Please click the ‘Download Summary of Feedback, Responses and Actions’ button. Although a unit exists for promoting fisheries management awareness programs, at an Australian Qualifications Framework (AQF) level 4. There is no unit for for conducting them. This unit has been developed to fill this skills gap. The final draft qualifications and units of competency and are currently undergoing an edit and equity and independent quality assurance process. Part of this process involves the Aquaculture and Wild Catch Industry Reference Committee (IRC) providing support for the final documents. Once this process has been completed, the qualifications and units will be forwarded to the State/Territory Training Authorities (STAs/TTAs) for their consideration and to seek their support for submission to the Australian Industry and Skills Committee (AISC). The Case for Endorsement will provide information about what changes have been made to the Training Package including, where relevant, information on new or updated qualifications and units. It will also outline who has been consulted and provided feedback throughout the project, why the changes were made, and what the implications of the changes are. The qualifications, skill sets and units were drafted in consultation with 21 Subject Matter Experts. The broader industry was consulted on the draft documents via four workshops across the country, the online feedback hub, a webinar, telephone and email (as part of the ‘Drafts Available’ stage from 19 November – 6 December 2018). 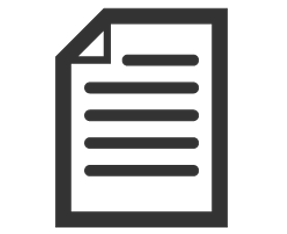 Feedback was considered and final drafts were made available for validation and comment from 27 September – 30 November 2018. A summary of the feedback received and action taken out of the ‘Validation’ stage from 17 December 2018 – 28 January 2019 is linked below. Once submitted to the AISC, the final draft documents will be made available for download below.